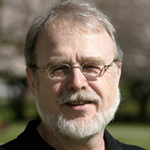 Phillip H. Wiebe is Professor of Philosophy at Trinity Western University, Canada. We invited him to answer the question “What is Philosophy of Religion?” as part of our “Philosophers of Religion on Philosophy of Religion” series. 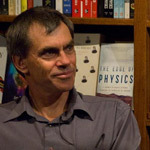 If philosophy consists of critical reflection on logic, ontology, epistemology, axiology, and linguistic meaning – its core historical content – then philosophy of religion consists of these kinds of critical reflection on beliefs and behaviors “associated in some way with a supernatural realm, a sphere of divine or spiritual beings.” This rough definition of religion is from Daniel Pals, who thus distils (Seven Theories of Religion) the views of seven great theorists of the last century: Frazer, Freud, Durkheim, Eliade, Evans-Pritchard, Tylor, and Geertz. I consider the most insightful general approach to the ontological status of religious claims to be that of W. V. O. Quine, who observed that the gods are cultural posits whose epistemological footing is similar, although inferior, to that of physical objects (“Two Dogmas of Empiricism”).